It is so nice to be back to a normal schedule (hopefully!) for a little bit here while I am waiting for samples to arrive and decorating! The event coming up for our little family store is this Saturday and I think I am just itching to get to Saturday! I cannot wait to share all the fun I had at our tasting event this Saturday! I am also ready to get the anticipation over with because it is quite a large task putting on an event at a store with advertising and making sure you have enough room! Today’s recipe is a winner (literally winner winner chicken dinner!). 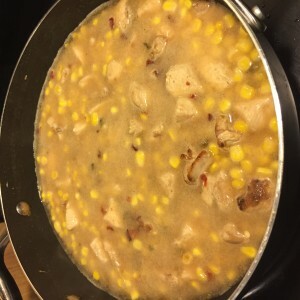 It is a go to recipe whenever I am in that mood that I don’t feel like cooking (this week especially!). It is a one pot meal, which I think I love the most about this wonderful dish! 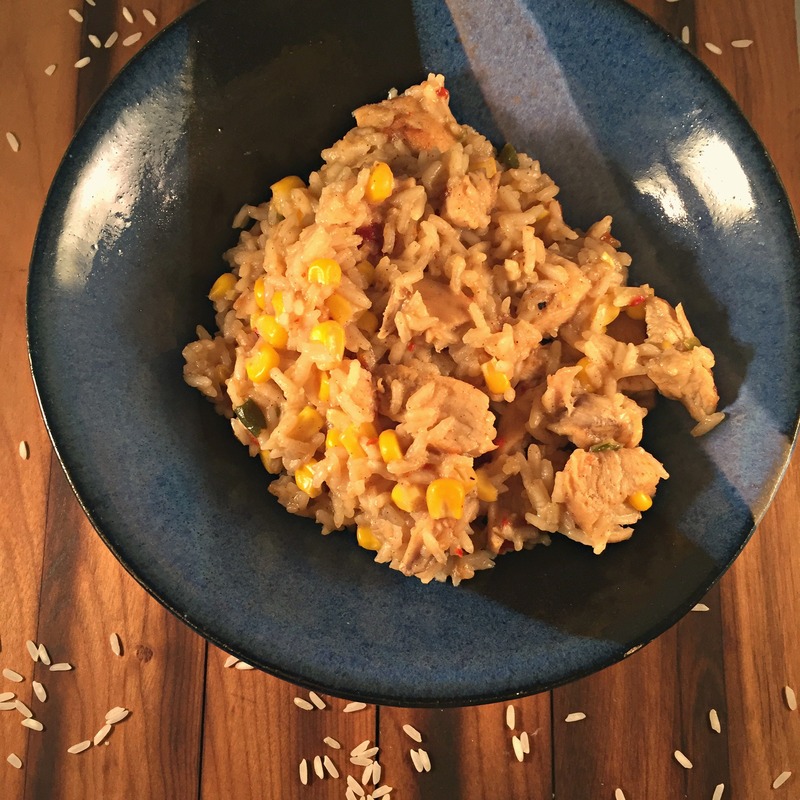 Chicken and Rice is a basic meal in this family and well I think over the years my mom has tried to master doing it different ways to mask the taste and the texture of it all! However, chicken and rice stir fry with vegetables and spices added to it can really mix things up a bit! Besides everyone likes chicken and rice right? Place thawed Chicken breast in a bag with your stir fry seasoning. Mix and set aside for about 10-20 minutes. Heat olive oil in skillet pan until hot. 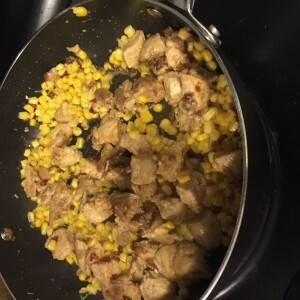 Place chicken in pan. Sear for 2-3 minutes on each side. Take out of the pan and cut into bite sized pieces. Put back into pan to finish cooking. Once the chicken is almost done cooking add in your peppers and onions. 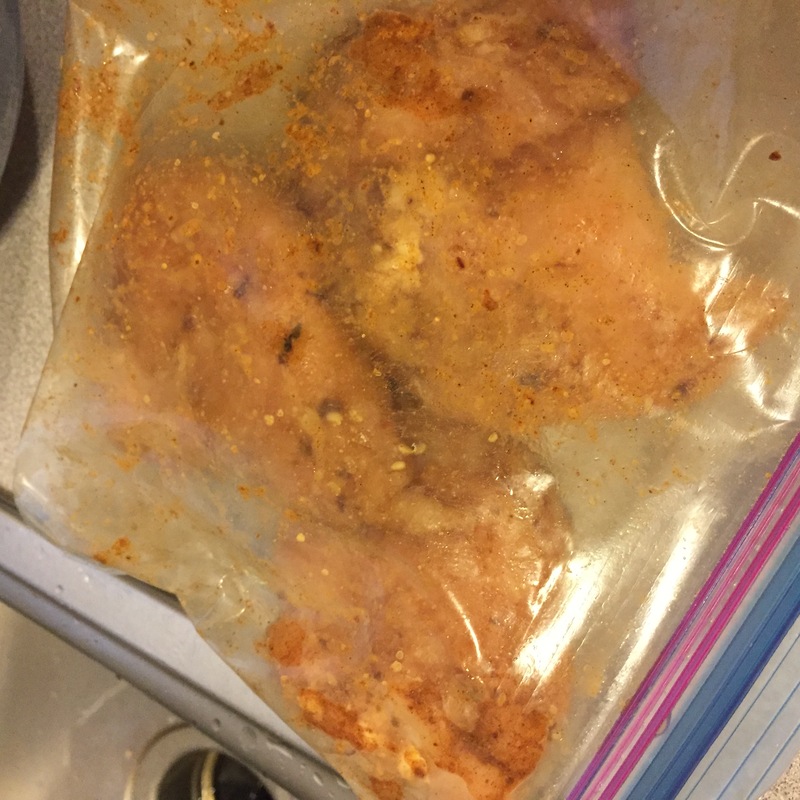 If you are using fresh saute them with the chicken for a few minutes. If you are using dehydrated just add your corn and stir around for a couple of minutes. Add your rice and broth and let everything cook. Stir occasionally so the rice on the bottom doesn’t burn. It should take about 20 minutes for the rice to cook. Once rice is cooked serve hot as a simple dinner or serve with some egg rolls! A great and simple dinner that can be done last minute and is super yummy too! Heat olive oil in skillet pan until hot. Place chicken in pan. Sear for 2-3 minutes on each side. Take out of the pan and cut into bite sized pieces. Put back into pan to finish cooking. Once the chicken is almost done cooking add in your peppers and onions. If you are using fresh saute them with the chicken for a few minutes. If you are using dehydrated just add your corn and stir around for a couple of minutes. Add your rice and broth and let everything cook. Stir occasionally so the rice on the bottom doesn't burn. It should take about 20 minutes for the rice to cook. I think I just simply love this dish for the amount of dishes! Well, it also tastes pretty darn good too! I have made this before with several different vegetables! I have used chopped up broccoli and carrots and they cook perfectly with this too! Getting the frozen bags of mixed vegetables is the best and simplest way to do this dish because you don’t have to steam them first or cook them in order to use them! Chicken and Rice Stir Fry takes about 30-40 minutes and has such a great taste! However, I use a stir fry mix that we sell in our store and it will soon be available online to buy! It is such a great blend of spices to add to just about anything! Don’t forget to follow me on Twitter (@Not2ShabbyGabby), Pinterest (@Not2ShabbyGabby), Instagram (@NotShabbyGabby) and Facebook to stay up to date on all posts and recipes! I hope you have a blessed day and are getting over this hump of the week!